Beautifully written, this historical drama is rife with emotion and touches of the unexplainable. I loved the infusion of myth into the tale, and found the author’s style to be rather comforting even when the subject matter turned bleak. 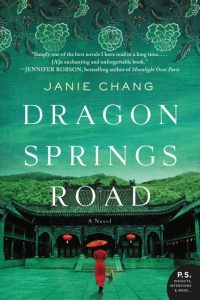 True to form we have many factual references to this time in China’s history sprinkled throughout the narrative, and I found myself getting deeply connected to our main character as the story did unfold. Although I do wish some of the secondary characters had been explored a bit further, for the most part the characters which played vital roles had a life of their own. The loneliness of childhood is a common theme, but one given a unique perspective by Chang’s hand. I greatly admired the insightful way in which the author showed us many different sides of prejudice, from the very young to the very old, male or female, it could often come down to a person being afraid of what they don’t understand, and this is one of the many things Jiang doesn’t go along with. I loved that about her. Her spirit carries you on a timely journey through her life, showing you what it could be like to be different, and how very wrong we are when we treat people as less than. I highly recommend to any literary fiction or historical fiction fans. 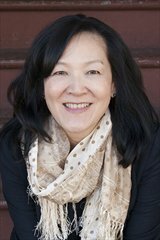 Born in Taiwan, Janie Chang spent part of her childhood in the Philippines, Iran, and Thailand. She has a degree in computer science and is a graduate of the Writer’s Studio Program at Simon Fraser University. She is the author of Three Souls. Find out more about Janie at her website, and connect with her on Facebook and Twitter.